Bundle your Auto and Home Insurance and Save money! Your home is one of the biggest investments the average person will make in a lifetime. That's why it's so important for you to protect that investment by purchasing an adequate home insurance policy. Forgoing homeowner’s insurance simply isn't an option for anyone who has a mortgage or anyone who wants to protect their home and their finances from harm in the event of a disaster. These are a few things you want to make sure your home is covered for when you're buying home insurance. Repairs and/or Rebuilding. While no one wants to contemplate starting over on the home they've already poured blood, sweat, and tears into, it is sometimes necessary to do so. Whether you're starting from scratch or simply rebuilding a room or two within the home, you need to be confident that the insurance plan you purchase will cover those expenses. Liability. If someone is injured on your property, you need to know your insurance will cover the cost of medical attention, if necessary, and help you defend your home and your family against lawsuits that may arise. Alternative Living Arrangements. Sometimes, your home is going to take more than a few days to repair. Extensive damage may make it necessary to rebuild completely. At the minimum, it may require you to rent another home, apartment, or hotel suite for an extended period of time while repairs are being made. Paying for alternative housing without this type of coverage can prove costly for those still making mortgage payments while repairs or rebuilding takes place. Home Contents. The contents of your home, the possessions you've lovingly gathered over the years, take a lifetime to collect, but only moments to go up in flames, get ruined by water, or get taken by thieves. While some possessions are irreplaceable, you can take comfort in knowing that you'll be able to recover some of the things that your family needs in the aftermath of a disaster if you have coverage on the contents of your home for the specific type of disaster that takes place. 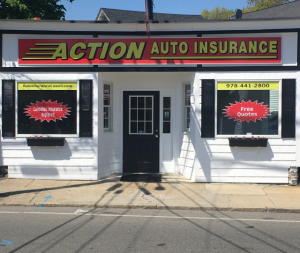 Work with Action Auto Insurance in Lowell, MA for great rates and full coverage on the home that means so much to you and your family. Dealing with an independent agent means you get to compare prices and coverage options between multiple carriers to find the price that's right for you. Call today to see up your appointment. 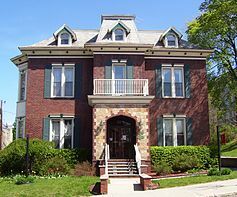 We offer competitive rates for Homeowners Insurance. Bundle your Home and Auto Insurance for additional savings.